We’ve not all that long to go before Bracknell Ale & Cider Festival 2017 but we’re short of a sponsor for our Live Music stage. The stage is one of the focal points for the event which last year attracted over 2,000 people to Bracknell Rugby Clubs Lily Hill Park. 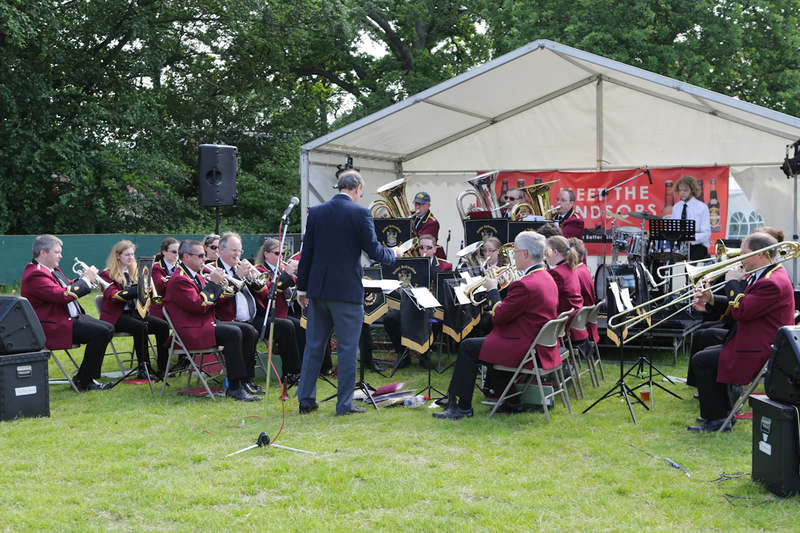 The sponsorship includes a full banner across the back of the stage behind the performers who this year include local singer songwriter Abi Powell as well as the superb St Sebastian Wokingham Brass Band. Our beer festival is one of the largest independent events in Bracknell and a fundraiser for Bracknell Rugby Club – our hosts. We already have a good group of local businesses supporting us including Courtney Buses who are food court sponsorsCourtney Buses Food Court for the second year running while Hogs Back Brewery sponsor the Ale and Cider tent. If you are interested in sponsoring the live music stage you can find out more including costs here or you can email beer@bracknaleevents.co.uk. You can find out more about Bracknell Ale & Cider Festival here.